Home Blog Magento or OpenCart – Which is the Best Shopping Cart Solution? Magento or OpenCart – Which is the Best Shopping Cart Solution? Which eCommerce platform is best-suited for my business? 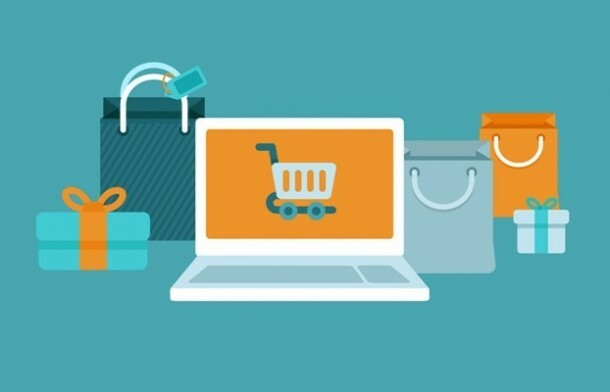 There is usually no one-size-fits-all solution as far as eCommerce is concerned. A number of factors can influence the choice of shopping cart platform. These could be the proposed size of your online store, budget constraints and perhaps even SEO & visibility. In this article, we will focus on two major competing platforms – OpenCart vs Magento. Both of them have a variety of features and options that will surely force you to think – Which is better, OpenCart or Magento? Before we delve into the comparison, it is necessary to point out the similarities between the two. OpenCart and Magento platforms are developed on PHP technology, and offer open source licensing model. They provide templates that can be used to upload products, which can be easily managed by the user. In addition, they have many rich plugins, extensions and other add-ons, which can be added to support new functionalities, and online store features. Hosting Options and Pricing Plans: When you compare OpenCart and Magento, setting up a Magento store will require some financial investment. Therefore, the former is a winner in this category. However, this does not mean businesses need to write off Magento. The quality of the web hosting service you invest in will make a big difference to the performance of your store. The Magento Go is a great alternative that provides a free hosting solution for your shopping cart, whereas OpenCart needs you to host your online store. For companies who already have a website, it may be the answer for you based solely on price. Pricing is another consideration. Businesses also need to think about how much they are willing to spend if their shopping cart needs to be migrated at a later stage or when they scale up. In this case, you may find that Magento offers you better flexibility. They provide a free 30-day trial and a range of pricing options on basis of number of products and the storage needed. For instance, for SMBs who offer less than 100 products, Magento has a competitive rate of $15/month. Features and Popularity: OpenCart is a platform that is relatively easy to program but has limited community support. It is an excellent solution for SMBs that need to quickly get their products to the market and do not require too many integrations. The basic tools offered by OpenCart are intuitive and easy to use. Perhaps some developers may not find it challenging enough to work with. However, OpenCart is easier to set up and consumes fewer system resources than Magento. In short, it is ideal for those who do not have significant technical experience with eCommerce. Think of a functionality and it is already there on Magento. If not, you can surely find an expert Magento website development company to build it for you. But, this flexibility comes at a cost. The cost is – increased complexity. This may not be a problem for a developer but if you are new to eCommerce and do not know PHP, Magento’s custom features will not be beneficial. Whether you choose Magento or OpenCart, your choice of platform will impact the long-term success of your online store. SMBs, who do not require highly customized sites or the advanced features, will be better off with OpenCart. It is easy to install, lightweight, fast and perfectly capable of providing support for a midrange product/user base. Large organizations with a wide variety of products and categories will benefit from Magento’s extra features and configuration options if they hire Magento programmer. Still cannot make up your mind? Require assistance in setting up an online store? Our team of eCommerce experts can help you develop an online store based on your enterprise needs. Reach out to us for more information. Know more about how OpenCart web development can help your SMB succeed.